Pardon our dust as we freshen our website. Your patience is appreciated! PLEASE BE PATIENT THIS YEAR WITH ANY GENEALOGY LOOK UPS. OUR RECORDS ARE IN THE PROCESS OF BEING SCANNED AND DATABASED TO INCREASE THE EFFICIENCY OF FINDING INFORMATION. Did your Ancestor belong to The Ladies of the Grand Army of the Republic? 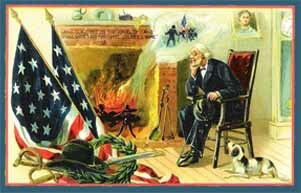 Are you searching for the Civil War Veteran whom she joined under? Please contact either of the following officers to gain further information on your ancestor. The Archives of The Ladies of the Grand Army of the Republic are currently on thousands of membership index cards and on very old hand written rosters. These are organized by city, state and the member's last name. 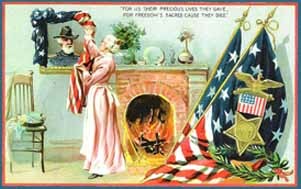 Information obtained from these files can verify if your ancestor was a member, her place of residence at the time she joined, and her Civil War Veteran that she joined under. Since this can be a very time consuming task, please be patient when submitting a request. 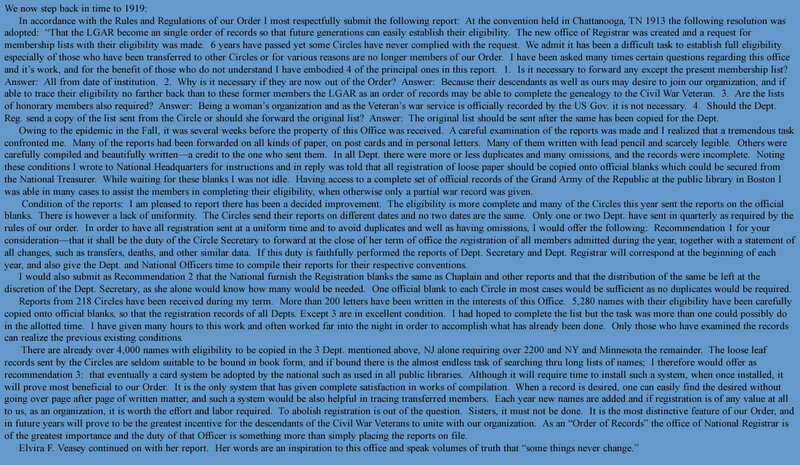 All inquiries are answered in the order in which they were received. If the search should go beyond 10 minutes or further genealogy is required, a donation for the time spent may be asked. Did you find a Membership Badge? Did you happen to find a Ladies of the Grand Army of the Republic Badge in your loved ones belonging’s and wonder about itshistory? If you have the badge pictured here, it is the standard membership badge that we are still using today. The date of 1886 on the back of the badge is the Patent date for the badge die. 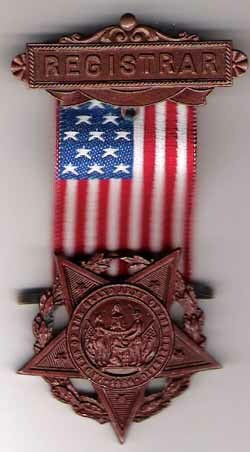 This badge was tailored after the Grand Army of the Republic’s Badge, and features a five pointed star with the Goddess of Liberty in the center, representing Loyalty; on either side, soldier and sailor clasp hands, representing Fraternity; and two children receiving benediction and assurance of protection from the comrades, representing Charity. On each side of the group are the National Flag and Eagle, representing Freedom, and the ax and bundle of rods, or fasces, representing Union. In each point of the star is the insignia of the branches of service; the bugle for Infantry, the crossed cannon for Artillery, the crossed muskets for Marine, crossed swords for Cavalry and the anchor for Sailors. This star is shown suspended by a flag ribbon from a bar that has the initials F, C, & L, standing for Fraternity, Charity, and Loyalty, the motto of our organization. There are variations of the ribbon that denote local or state participation. If you happen to find something other than what is shown here, please be sure to contact our National Historian, Lynne Bury, for more information.